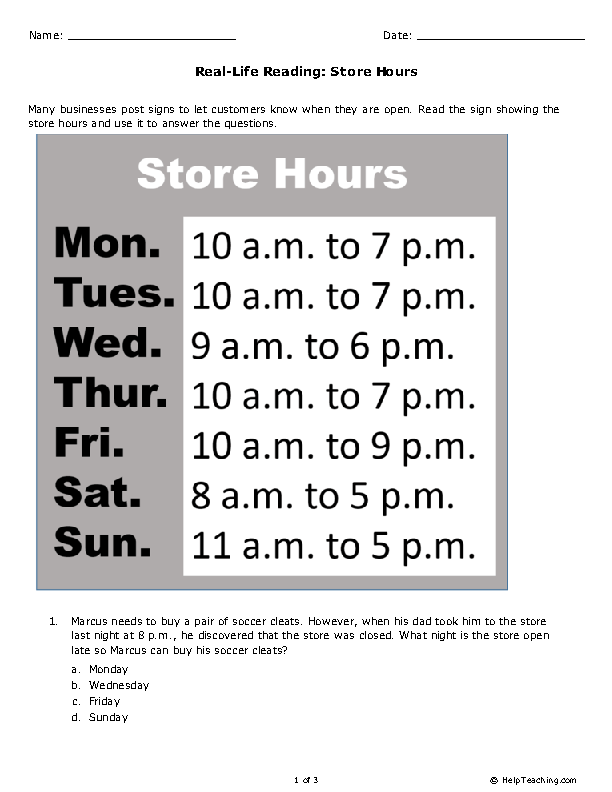 This worksheet helps build everyday reading skills by having students read a sign showing the hours for a store. 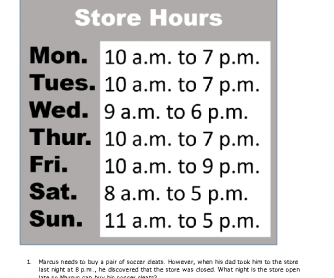 Students must answer question based on the sign, such as "What time does the store open on Tuesday?" Find more real-life reading activities and worksheets on HelpTeaching.com.